2. Read the entire letter carefully. If you don’t fully understand your letter our website and the IRS website has a lot of helpful information. If those options don’t work you can always contact your tax professional for more assistance. 4. Only reply if necessary. There is usually no need to reply to a letter unless specifically instructed to do so or to make a payment. 6. Don’t call. 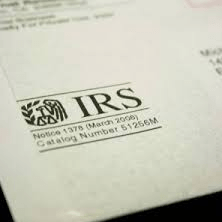 For most letters, there is no need to call the IRS or make an appointment at a taxpayer assistance center. If a call seems necessary, Call a tax professional for assistance. You should also be aware that the letter you received could not be from the IRS but from a scammer. IRS scams are continuing to increase and all taxpayers should be aware.